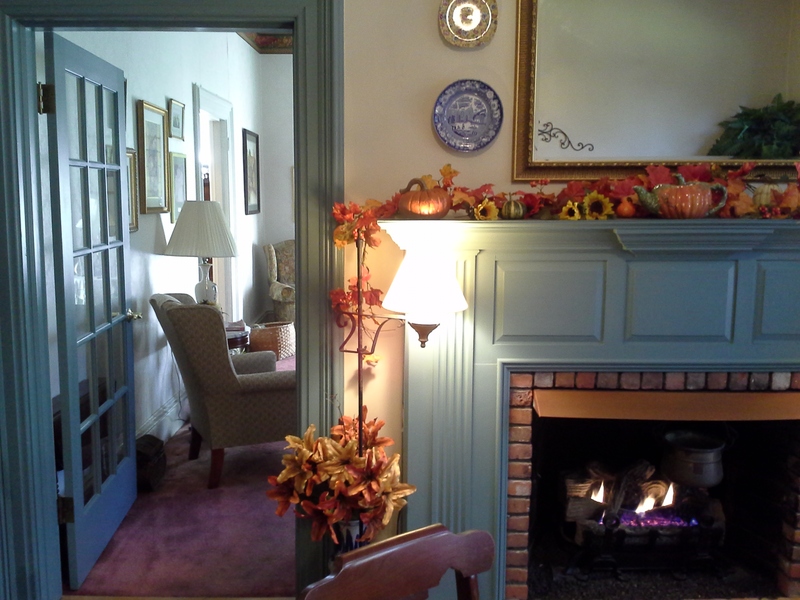 A bed and breakfast that my husband and I stayed at recently in Brattleboro, Vermont, is described accurately on its website as a place for relaxation and renewal, offering the perfect setting for a peaceful, romantic, respite from a busy world. My stay there was indeed restful. The bucolic setting was the perfect place for me to catch up on some R and R and to be pampered. Each morning a tray of tea was left outside our room. 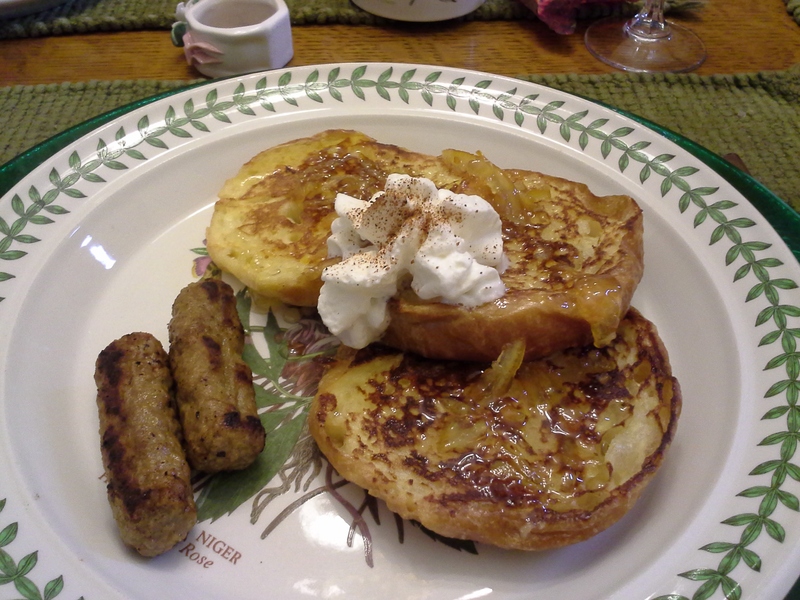 Sumptuous breakfast choices included eggs baked in smoked ham, baby spinach, and Grafton Village cheddar cheese and custard french toast croissants with a hint of nutmeg served with maple-orange sauce, all served in a cozy dining room in front of a cozy fireplace. The B and B was also a great place to catch up on literary pursuits. I sent hours in overstuffed, high-backed chairs catching up on some reading and jotting down notes for revising my manuscript. A B and B can serve as the perfect place for a writing retreat. How about you? What’s your favorite sanctuary for writing? This entry was posted in Publishing, Writing and tagged 1868 Crosby House, bed and breakfast, writing retreat. Bookmark the permalink. how about you what’s your favorite place? My favorite place is anyplace where I can avoid distraction. That usually means a weekend location out of town away from family and friends where my sole focus is my manuscript.